SUMMARY: As the son of one of the world's most notorious serial killers, Jasper Dent has seen a lot in his 17 years. Before he was caught, Jasper's father taught him "the family business," and Jasper knows he is more than capable of following in his father's footsteps. When another serial killer crops up in Jasper's small town, all eyes look to Jasper as a suspect. 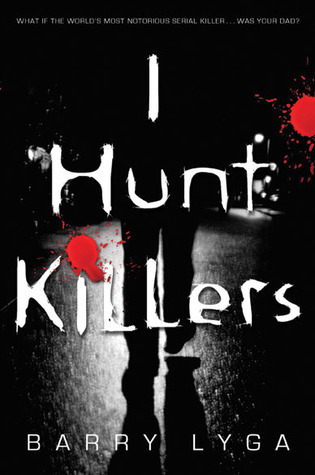 REVIEW: I read about 200 pages of I Hunt Killers before I finally abandoned it. Abandoning a book is not something I take lightly, but I will do it if I am still struggling at the halfway point. For me, the biggest problem with IHK is that I really just didn't care what happened. I didn't connect with Jasper (everyone thinks he's so charming because...?) or his girlfriend Connie (boring). Jasper has plenty of teen angst to go around, but he never felt very real to me. I didn't understand how Jasper and his grandmother could stand to live in the same house where so many grisly murders took place. No wonder Jasper couldn't escape the images from his disturbing youth. While I am not typically one to figure out the "whodunits," the murderer in this story is so obvious that even I figured it out fairly early. After I decided to abandon, I skimmed ahead to see if I was right, and I was. I probably would have loved this if I were a teen with little experience with serial killer books. I have read tons of serial killer fiction and nonfiction, and this one just lacks something. It is plenty gross and disturbing, but I just wasn't into it. THE BOTTOM LINE: Considering all the huge Goodreads ratings, I'd say read it if it sounds good to you. I just couldn't get into it. STATUS IN MY LIBRARY: We don't have it. It would be easy to talk up to my students, but it is WAY too graphic for middle school. Probably even too graphic for many high schoolers, too.